These Tiny Penguins Almost Went Extinct. You Won’t Believe How They Were Saved! For years, the small picturesque Australian island, aptly named Middle Island, was home to the smallest species of penguins known to man called ‘fairy penguins’. Standing at a mere 30-40cm, the fairy penguins lived in peace and harmony in their natural habitat until their island home was discovered by, quite literally, big, bad wolves. The wolves quickly found a way to make the journey from the mainland, to the island uninhabited by humans to set their hungry sights on the penguins. The fairy penguins were on the verge of extinction until a chicken farmer named Swampy Marsh (no his name has not been changed) came to the rescue of the little black and white creatures. Swampy decided to bring one of his Maremma dogs, Oddball, to watch over the birds and keep the hungry wolves at bay. 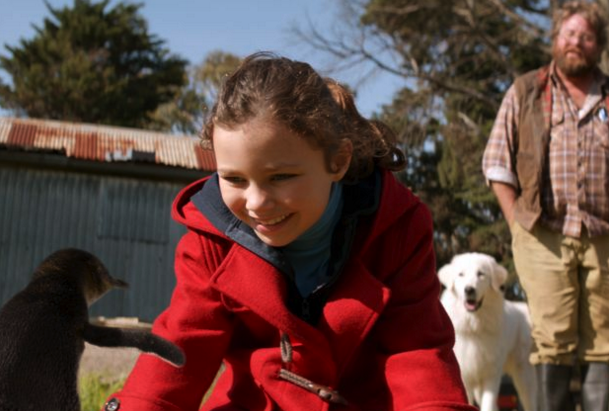 Although the dogs are usually used in the protection of sheep and chicken, they seemed to work like magic protecting the tiny mammals. 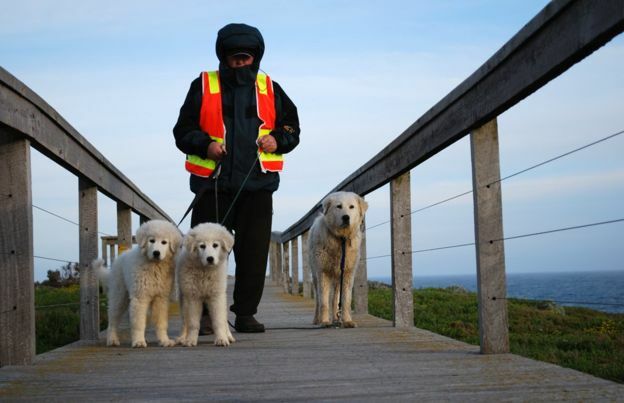 Ever since the dogs were introduced to the island nearly 10 years ago, there have been no reported instances of penguin killings. 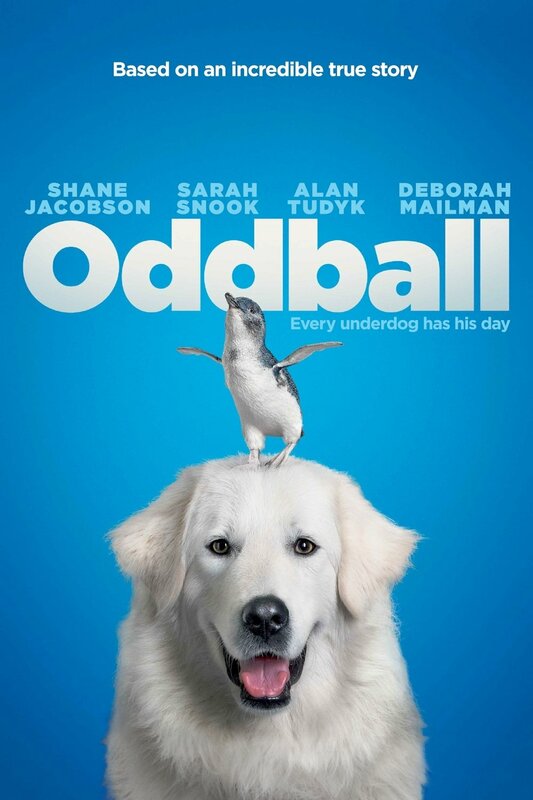 The endearing tale caught the eye of movie producers who decided to film the story of the plight stricken penguins, aptly naming the movie, Oddball. The penguin population is now recovering nicely and has happily reached the 200 penguin strong mark. 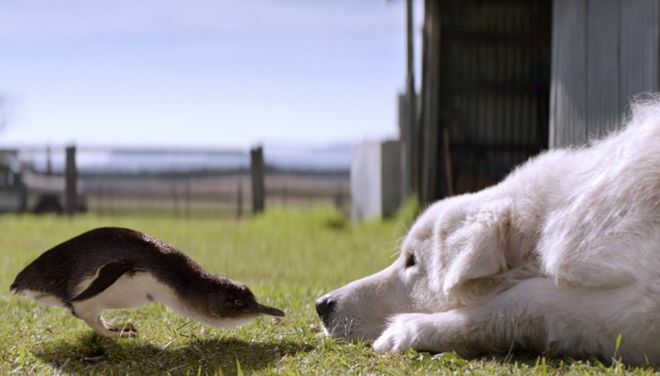 Dogs protecting their tiny penguin friends as they live happily together on a small island down under? What is better movie material than that?